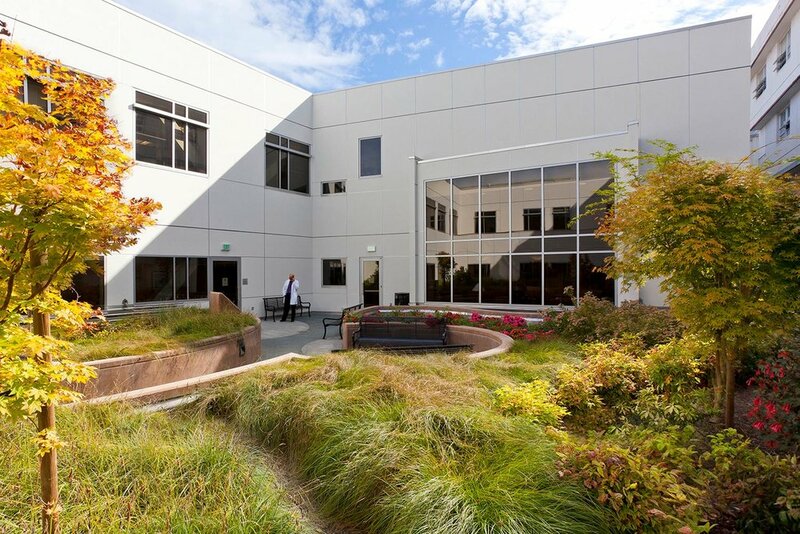 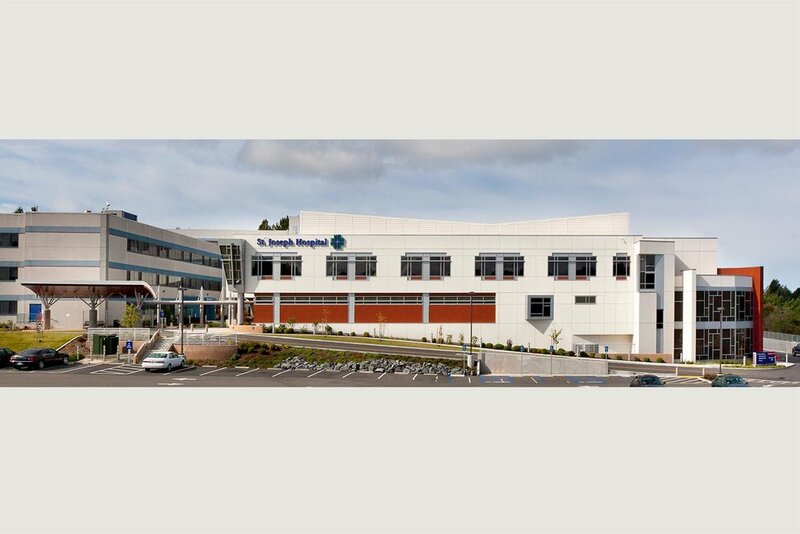 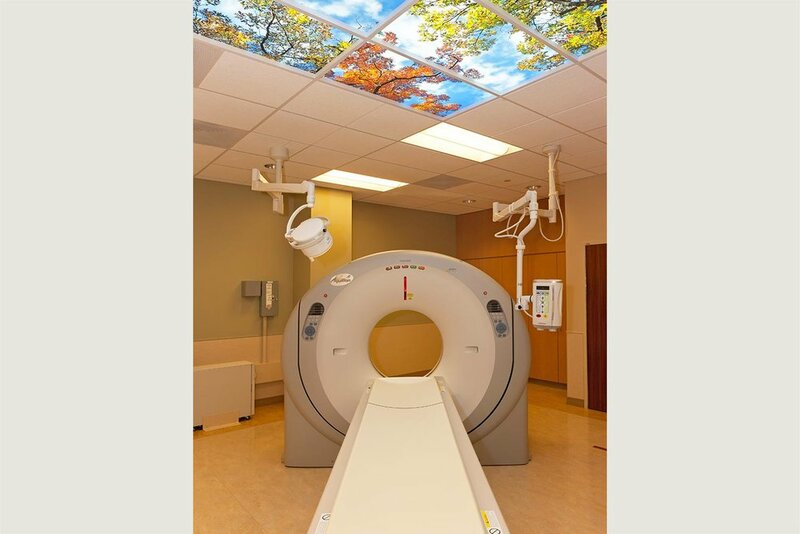 EUREKA, CALIFORNIA, USA In order to better serve the residents of Humboldt County, St. Joseph’s Hospital in Eureka extended its existing hospital with a 103,000 SF addition in anticipation of the region’s future healthcare needs. 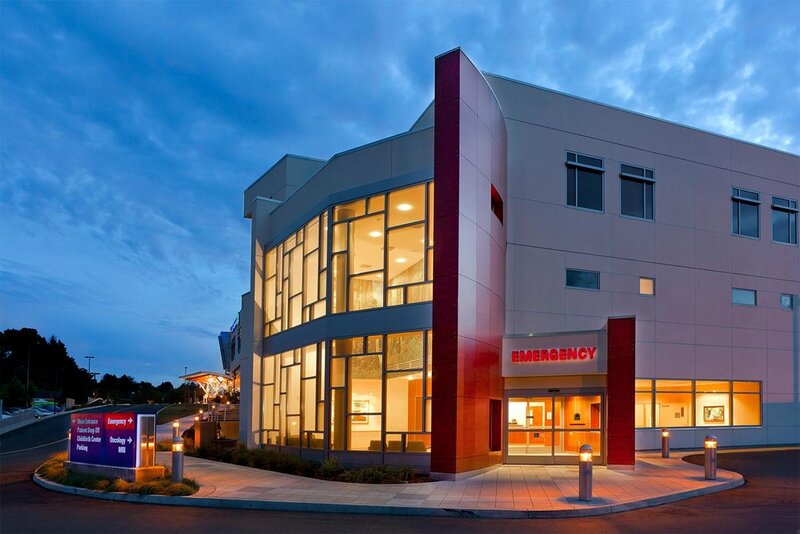 Completed in two phases, the three-story addition and renovation of the existing facility at St. Joseph’s Hospital added numerous specialty services to its comprehensive care environment. 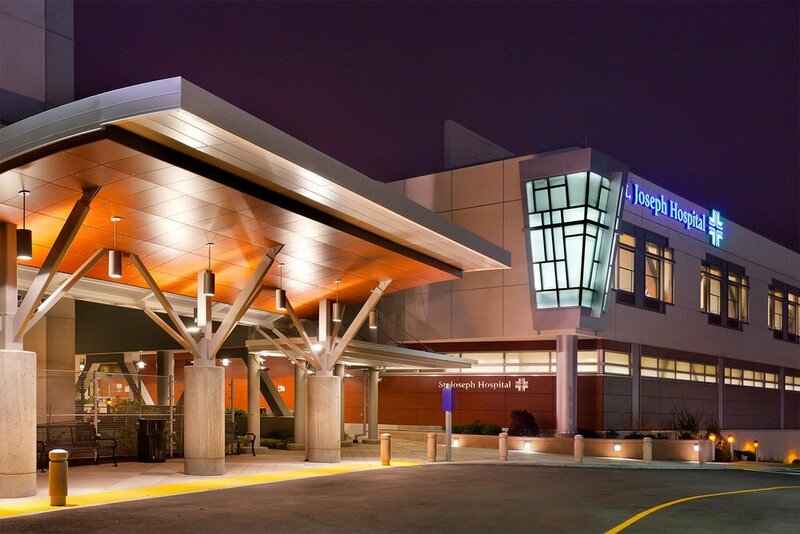 The first phase of the project includes new construction of the Lower Level, First and Second Floors involving Emergency, Treatment Bays, ED Imaging, CT Scan, Radiology and Ultrasound, Central Sterile and Shell for Future Imaging, Surgical Suite, General OR, CVS OR, Cath Lab, Prep/Recovery, PACU and ICU. 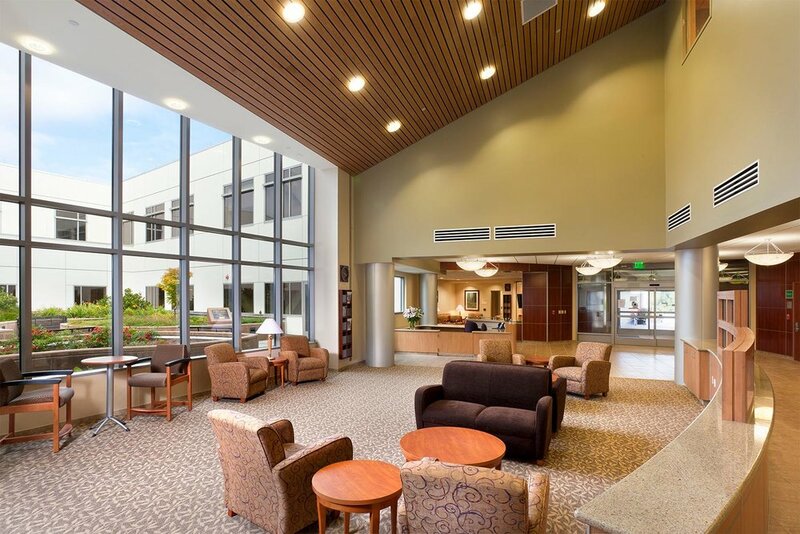 Renovation of the Lower Level and First Floor of the existing hospital is also part of Phase 1 and includes the relocation of Central Sterile, Food Service, Lobby Admitting and Gift Shop, as well as links to connect the new addition to three neighboring buildings. 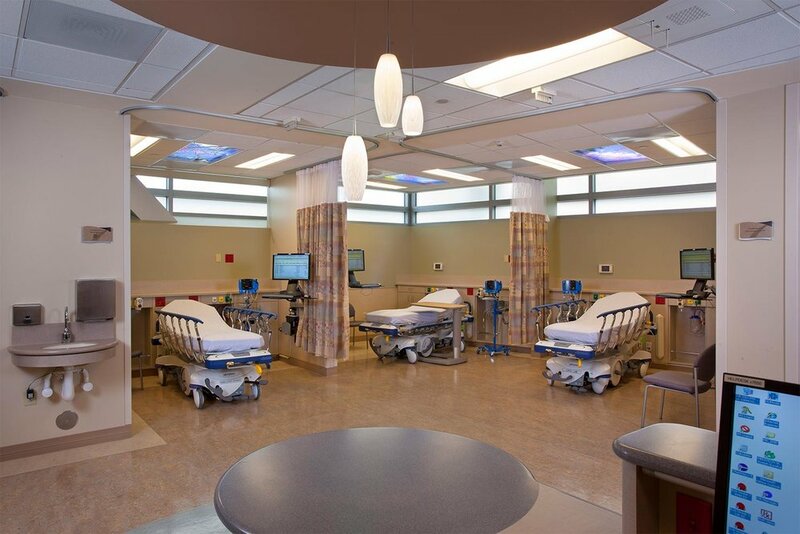 The second phase completes the construction of the Second Floor, including renovation and rehabilitation of the existing hospital areas.